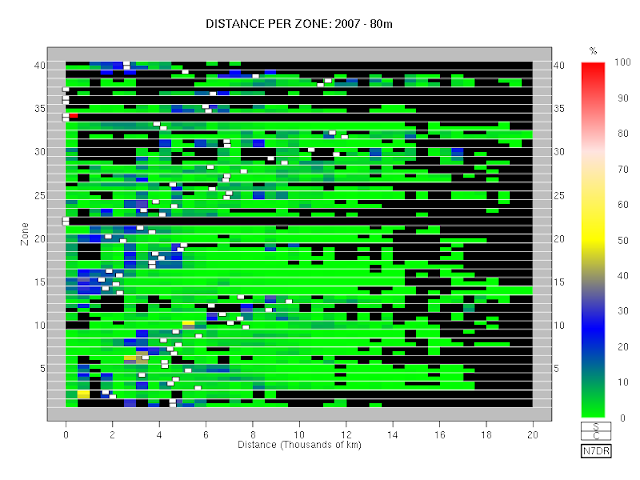 Using the data from the CQ WW public logs, we can examine the distribution of distance for QSOs as a function of zone. 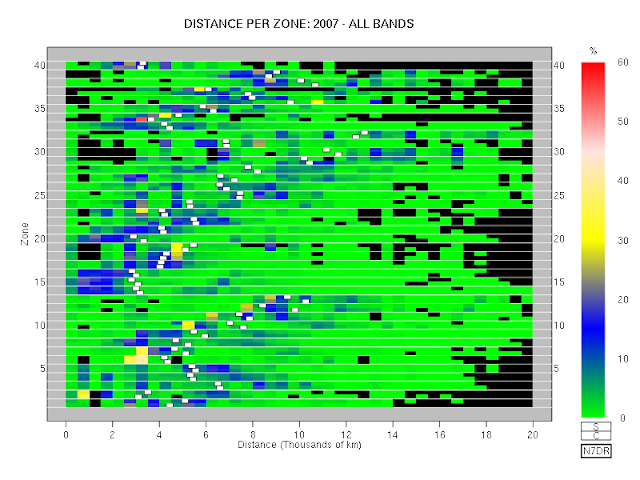 Below is a series of figures showing this distribution integrated over all bands and, separately, band by band for the CQ WW SSB and CQ WW CW contests for 2007. Each plot shows a colour-coded distribution of the distance of QSOs for each zone, with the data for SSB appearing above the data for CW within each zone. 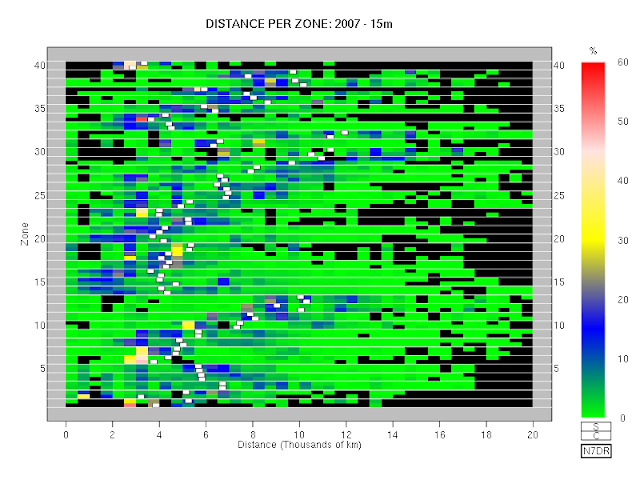 For every half-QSO in a given zone, the distance of the QSO is calculated; in ths way, the total number of half-QSOs in bins of width 500 km is accumulated. 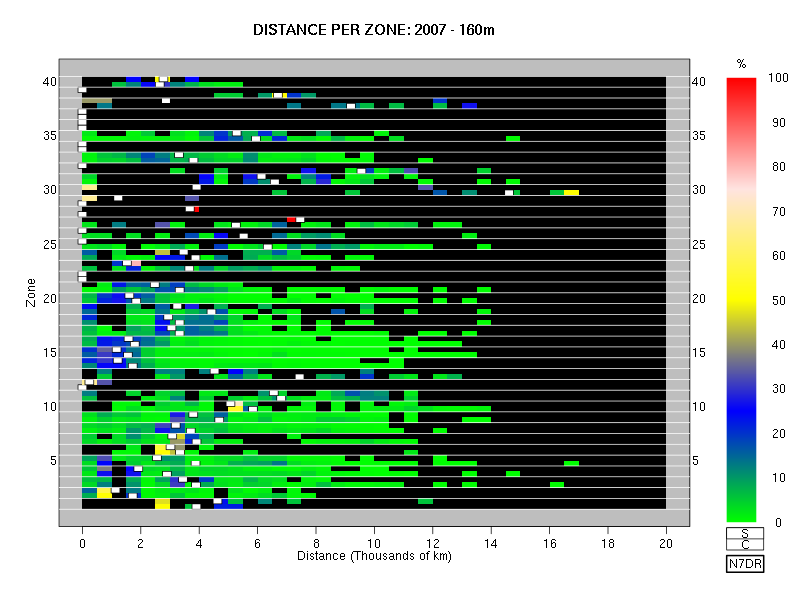 Once all the QSOs for a particular contest have been binned in this manner, the distribution for each zone is normalised to total 100% and the result coded by colour and plotted. The mean distance for each zone and mode is denoted by a small white rectangle added to the underlying distance distribution. As usual, only QSOs for which logs have been provided by both parties, and which show no bust of either callsign or zone number are included. Bins coloured black are those for which no QSOs are present at the relevant distance. 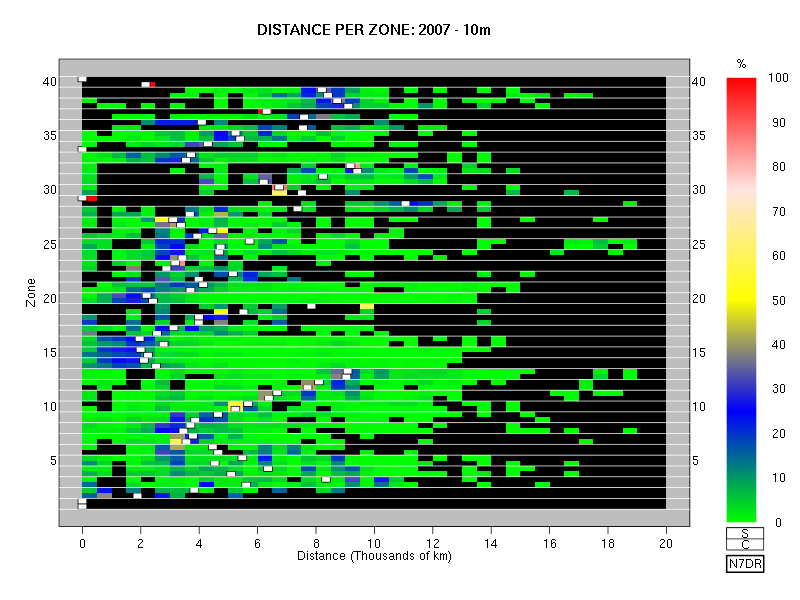 The resulting plots are reproduced below. 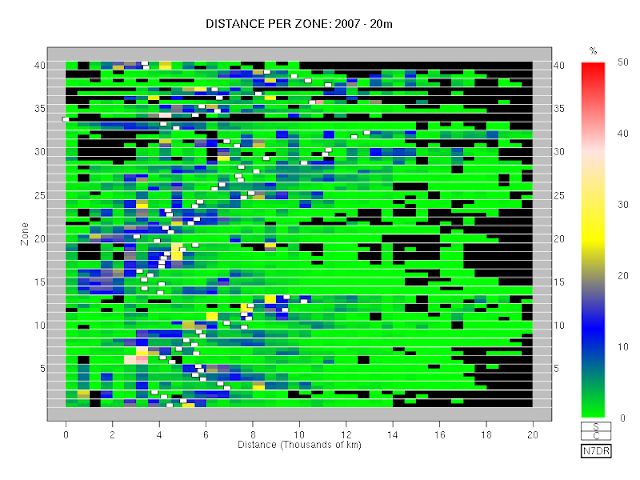 I find that they display in a compact format a wealth of data that is informative and often unexpected.